We learned back in May that Qualcomm has been working on an upgraded chipset for smartwatches, but now it's almost here as the launch date has been set for the first half of next month. September 10 is the date Qualcomm has included in an invite that tells you "it's time" and to "set your watches". It's undeniably written to suggest its for the smartwatch space, which leads us to believe it's what's rumored to be the Qualcomm Snapdragon Wear 3100 chipset. 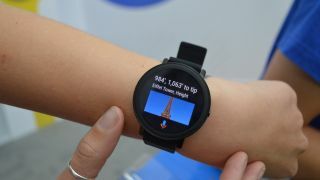 Wear OS watch manufacturers often use the Snapdragon Wear 2100 chipset in a variety of devices, but that chipset is now over two years old so an upgrade in tech could see some significant differences in upcoming watches. Where will we see it first? Exactly what the new chipset will bring is currently unclear - the invite doesn't offer any clear hints at the new tech. It may be the company has improved optimization for better battery life or it may be able to handle more features such as extra sensors. Qualcomm may also focus on including more power in new smartwatches considering it has been so long since the company made a significant upgrade to its tech. Hopefully this big update to the platform will allow those Wear OS watch manufacturers to embrace some new tech and give us some significantly better watches than what are on sale today. September 10 is when we'll hear about the new tech, but exactly when you'll be able to buy a watch boasting the new features remains to be seen. One of those new watches may well be the rumored Google Pixel Watch that we're expecting to hear about in October, alongside the Google Pixel 3, but we won't know much more about that until closer to the time.